When Amazon launched the new Kindle and Kindle Voyage earlier this year, they promised to release a software update which added a slew of new features. Support for Family LibraryWith Family Library, you can link two Amazon accounts and share books on your Kindle Voyage and other compatible Amazon devices and apps. To learn more, visit About Family Library. Support for Kindle FreeTime UnlimitedKindle FreeTime Unlimited is an optional monthly subscription for Kindle FreeTime that offers thousands of books for children ages three- to eight-years-old. Word Wise – See Hints for Difficult WordsWith Word Wise, you can see simple definitions and synonyms displayed inline above more difficult words while you read. Word Wise makes it easier for readers learning English and kids reading their first chapter books to understand challenging books more quickly. X-Ray ImprovementsExplore the "bones of a book” with an improved timeline and the ability to browse images and filter by Notable Clips. Deeper Goodreads IntegrationGoodreads on Kindle makes it quicker to access and update your reading status and adds the ability to preview and purchase books without leaving Goodreads. Periodical ImprovementsYou can access up to 40 magazine back issues from the cloud on your device. Multiple issues of the same periodical are now collected together. The update should be pushed out to Kindles over the next few weeks, but if you don't want to wait you can install it manually. Simply download the update from Amazon, copy it to your Kindle over USB, and then unplug the USB cable. The Kindle should recognize the update and install it (you will need a charged battery, of course). So Wattpad Has the Same Piracy/Plagiarism Problem as eBookstores – What Do We Do About it? Could Facebook Replace Amazon as “Earth’s Biggest Bookstore”? The HDX 7 also got the update, which included a significant change to the UI and alleged improvement to battery life. My Kindle Fire HD (2013) was also updated. Does anyone know if sharing includes Kindle Unlimited subscription titles? My husband just bought his first Kindle, and I like this idea because we don’t end up with Cloud Collections issues, but if we can’t share Kindle Unlimited books, it becomes less useful. I, personally, LOVE Kindle Unlimited as it has saved me a large bundle of money! 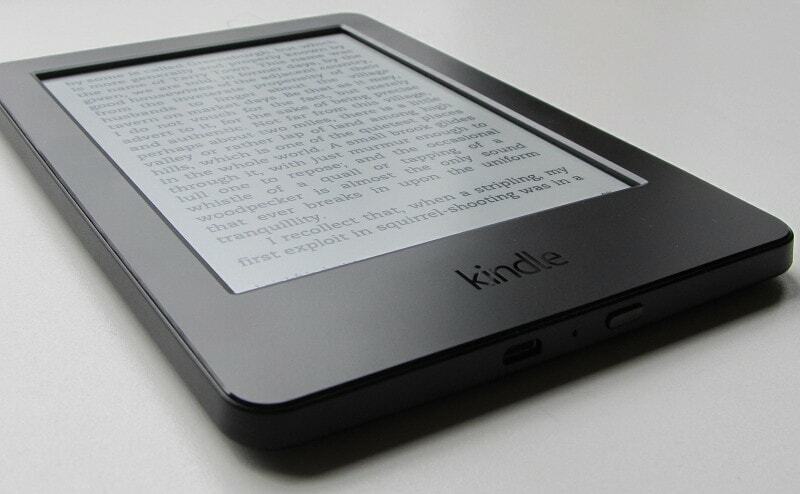 Any word when the new features will be available on the Kindle Android App and/or the Kindle Paperwhite (2012)? They will probably never make updates available for 1st gen paperwhites, which is pretty unfair, but that’s how they get you to buy other gens of their products. Did this update include the linking with Goodreads for progress and status updates? I think this is on my Fire HDX, which is awesome b/c I want Word Wise on a device that can also play Audible books. is word wise option is for every book or there are specific books ( like x- ray enabled) which supports word wise option? Because it’s on on my kindle but nothing happened. I’m not sure, but I’m looking into it. Right now I can say that Wordwise doesn’t work with the ebooks I sideloaded. It does seem to work with the Kindle ebooks I bought from Amazon, though. Edit: Did you activate the feature? It has to be enabled first. You can disable it in the settings menu. Which app are you using (Android, iOS)? I have problem for kindle fire because wise word download have failed. How to solve it? I need wise word. I don’t know, sorry. You’ll need to contact Amazon CS. in my opinion Word wise is terrible. It has so many notes i can hardly read the book. I can’t find a way to get back to settings to get rid of it. I’m really getting frustrated.